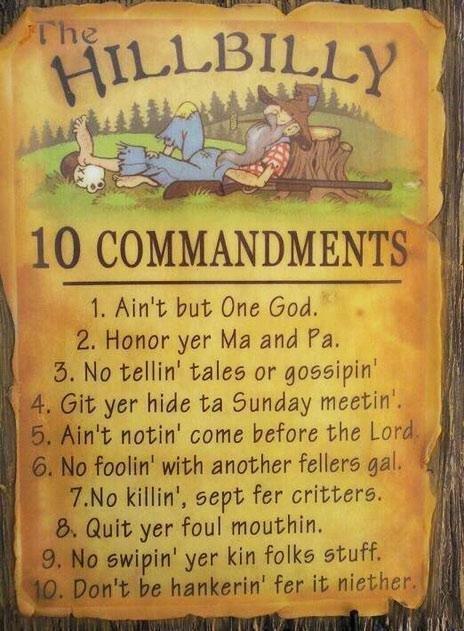 The HILLBILLY 10 COMMANDMENTS . . .